Ah, it is a brand new month! And not just any month: It is the 9th month, September. There has always been something grand and liberating for me about September. I have long thought about it in a way which is polar opposite to Groucho Marx’s sentiment. For me September is surprisingly fresh and likely to be unpredictable, but a good unpredictable because it promises so much abundance. September brings us the shift to autumn, and the season of the harvest: In business it marks a season of decisions. We seem to pattern ourselves after Mother Nature, innately understanding this as the time to harvest lessons-learned from our growing season in the earlier progression of the year, and we start to work on best closure as the weeks advance to December. It is our ‘best closure’ because it will sow the seeds for our next growing season in the year to come after winter has given us quiet, rest, and holiday. We might hibernate, but we will not actually close up completely. September is our 9th month, and the number 9 has special relevance to me. I have a story promised to Joyful Jubilant Learning set to publish about it tomorrow: For now I will just say that if not for a breakthrough I had with the number 9 I would have screwed up a whole host of financial computations in business and in life”“ or not even have attempted them to begin with. I think that leadership needs a numbers breakthrough too. However let it be known (or surmised) that you are at all “bottom-line driven” and you strike fear in the hearts of all your employees and their families. Your suppliers and vendor partners get nervous, pulling out their invoices to check on the terms they gave you, and they watch which competitors you talk to at cocktail parties (oh, sorry… those got cut from the budget?). Even your Board of Directors may become suspicious, worrying that you deliver but cut too many corners, and might be eroding the longer term prospects of your financial health. For after all, ROI can be short term or long term too. A triple bottom line? Sounds brutal! Isn’t one enough? We often feel there is simply no winning with numbers: We’re damned if we get them (and spend them) and damned if we don’t. Math and numbers are two different things which happen to work together well. However we can use numbers for more than just math. Put aside math for now; don’t even think about it. Let’s figure out how you can learn to like numbers. It was permission to reinvent numerology all over again, doing it any way you wanted to. Metrics and numbers are two different things which happen to work together well. However we can use numbers for more than just the financials. No matter what your financials might look like right now, good or bad, my September challenge to you is to see the abundance, and allow numbers to help you see it no matter where you look. What new association can you make, giving those who depend on your leadership some kind of breakthrough? 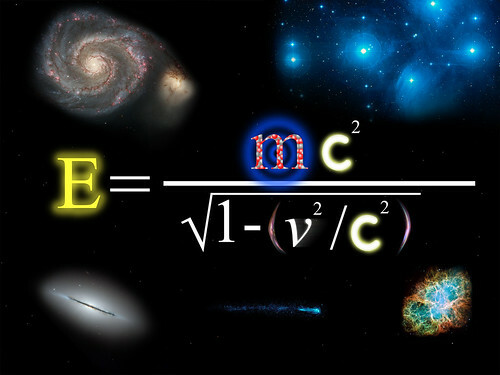 Little Known by Victorrjr on Flickr who shares: “Very few people know that the famous equation E=mc ² is a shorthand for a longer equation that takes relativity into account.” Click on photo to learn more. What I do think we will talk about though, in celebrating the abundance of September together, are numbers. Let’s try it. You just might like it… This month we will also have a palindromic event: 09-09-09! 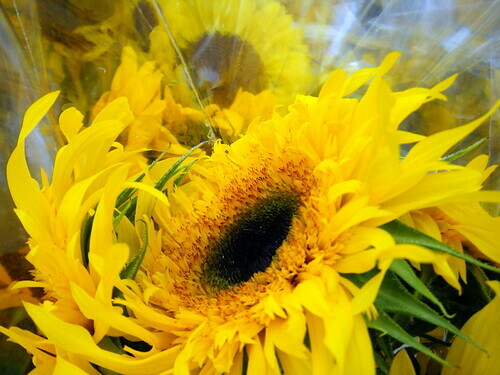 Meanwhile, here’s a trip down memory lane to revisit some ways that we’ve already seen how numbering can shift our perspective in those “surprisingly fresh” moods that September promises more of. Here are 7 links (I end with 9 for Talking Story): You knew that September gets its name from the number 7, right?